Low and tall storage units for all of your filing requirements in sizes to suit your office. 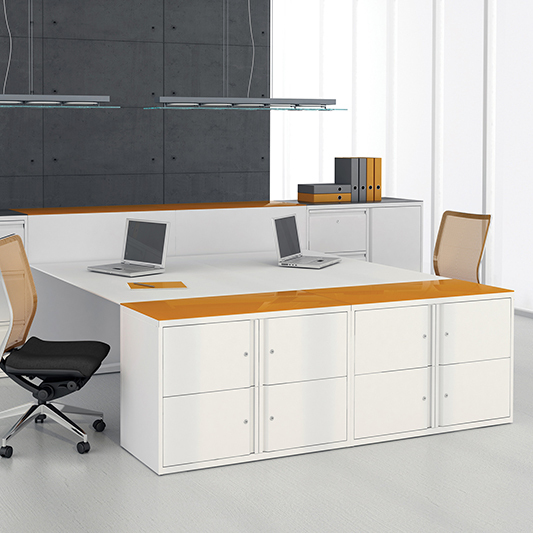 Our office storage includes double door and tambour door units, bookcases, side filers, under desk & desk high pedestals, and filing cabinets available in metal and MFC colour options. Accessories including lateral filing, pull out suspension frames, pigeon hole units and standard shelves to provide exceptional filing solutions in your working environment. We also specialise in sourcing storage lockers in a variety of door combinations, colours and lock options.